This is it, the big one. 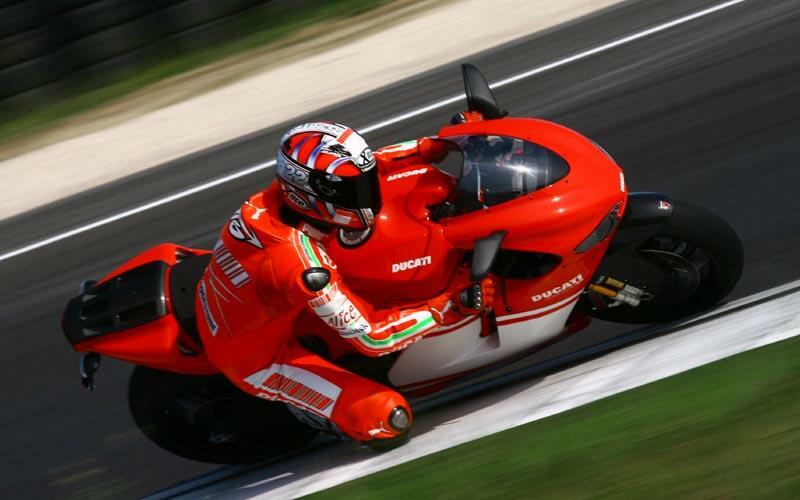 In just six day’s time at Misano, MCN will be exclusively riding one of the most awe-inspiring motorcycles ever built: the 989cc, V-four, Ducati Desmosedici RR MotoGP replica. We reckon the term ‘race replica’ is banded about a bit too cheaply nowadays; the term describing almost any sports bike with a full faring and high footpegs, but the £40,000, 190bhp Desmosedici RR is different. It’s the mirror image of the Ducati Corse Desmosedici GP6 MotoGP, which was campaigned by Loris Capirossi and Sete Gibernau in 2006. It has identically shaped bodywork and the same layout chassis - even the engine has the same bore and stroke as the factory MotoGP machine. The story behind the Desmosedici RR, including this incredible machine’s full specification. What the real thing is like to ride; Senior Road Tester Michael Neeves’s account of riding Troy Bayliss’s race-winning Desmosedici GP6 the day after last year’s Valencia MotoGP. Regular blogs and video clips from Michael Neeves from Misano on the build up to riding the Desmosedici RR and his immediate impressions the second he gets off the bike.